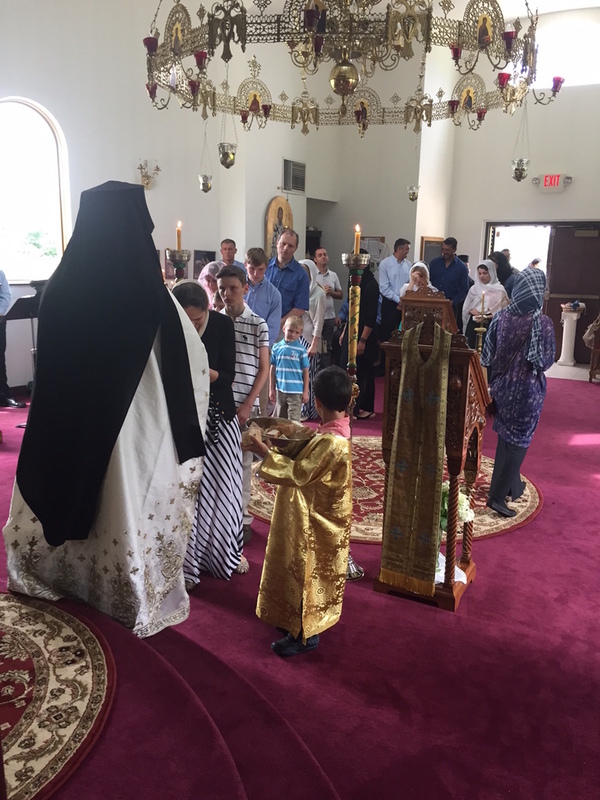 Richfield, OH - On the Third Sunday of Pentecost the annual Parastos was offered in memory of Bishop Sava (Vukovic) at New Marcha Monastery in Richfield, Ohio, the founder of this holy monastery. Besides the sisterhood of the monastery, attending the Parastos, served by Hieromonk Platon (Jovic), were friends and spiritual children of Bishop Sava of blessed repose, among whom was also Nikola Borota, one of the bishop's closest and hardest worker during his tenure as bishop of Eastern America. His Grace Bishop Dr. Sava of Sumadija was the second bishop to occupy the Episcopal Throne of the Eastern American Diocese of the Serbian Orthodox Church. 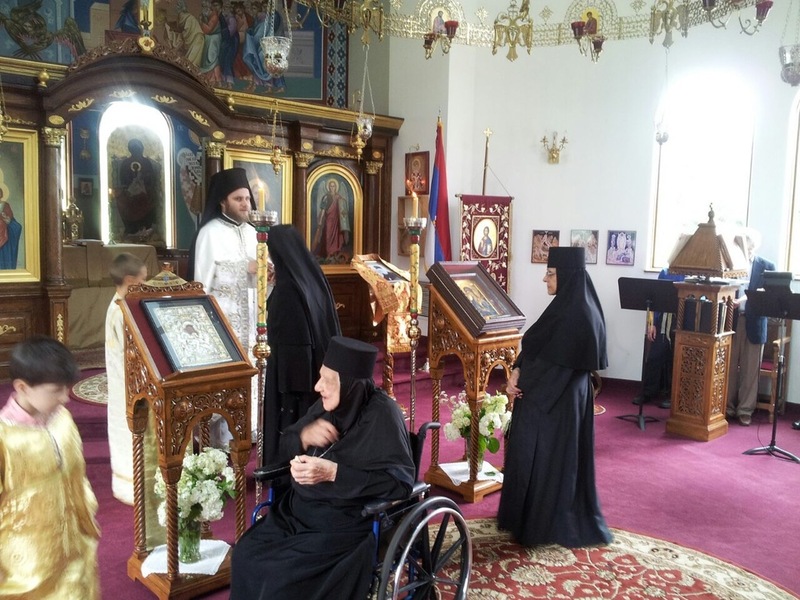 He succeed His Grace Bishop Stefan (Lastavica) of blessed repose. He served the Diocese of Eastern America from 1 June 1967 to 13 September 1977. Among his many accomplishments His Grace Bishop Dr. Sava founded Monastery Marcha. Monastery Marcha served as the diocesan administrative headquarters in the early years of Bishop Sava’s service to the Eastern American Diocese.